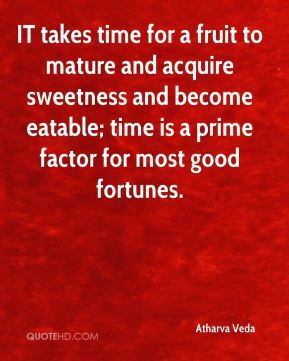 IT takes time for a fruit to mature and acquire sweetness and become eatable; time is a prime factor for most good fortunes. 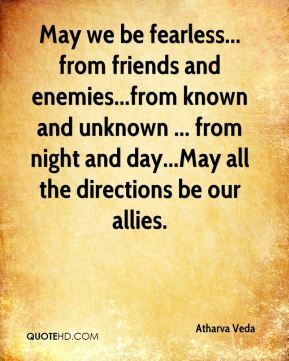 May we be fearless... from friends and enemies...from known and unknown ... from night and day...May all the directions be our allies. Happiness will not come from happiness; but only from pain. 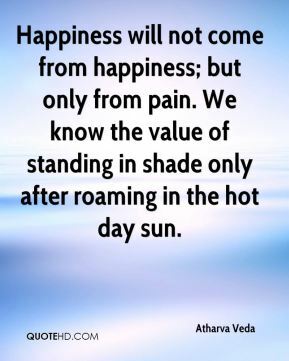 We know the value of standing in shade only after roaming in the hot day sun. 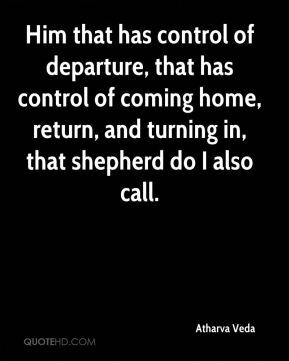 Him that has control of departure, that has control of coming home, return, and turning in, that shepherd do I also call. 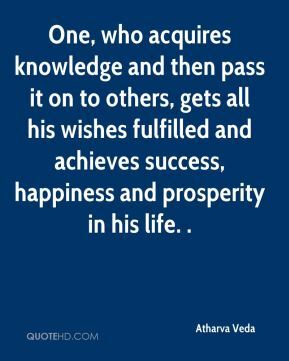 One, who acquires knowledge and then pass it on to others, gets all his wishes fulfilled and achieves success, happiness and prosperity in his life. . 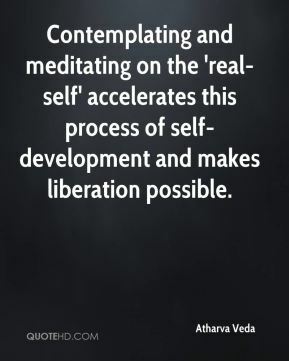 Contemplating and meditating on the 'real-self' accelerates this process of self-development and makes liberation possible. 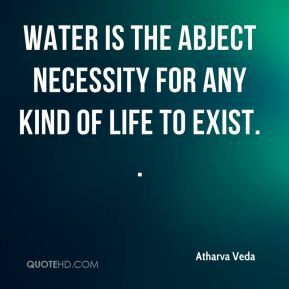 Water is the abject necessity for any kind of life to exist. . 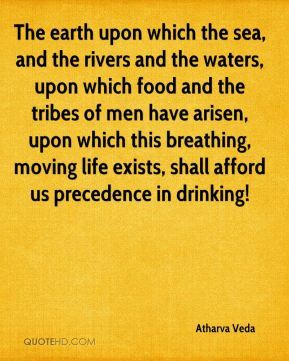 The earth upon which the sea, and the rivers and the waters, upon which food and the tribes of men have arisen, upon which this breathing, moving life exists, shall afford us precedence in drinking! 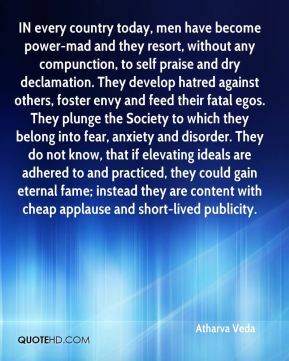 We should keep strict vigil on the already controlled senses so that they do not get an opportunity to raise their ugly heads. 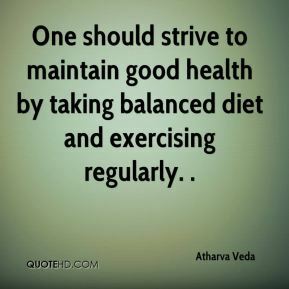 Pure diet is of great help in this regard i.e. 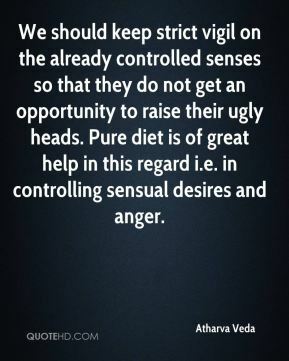 in controlling sensual desires and anger. 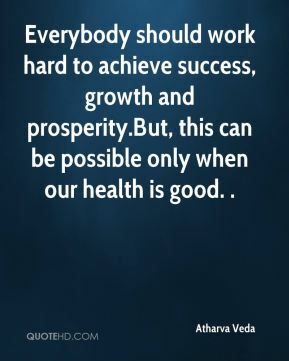 Money and mansions are not the only wealth. 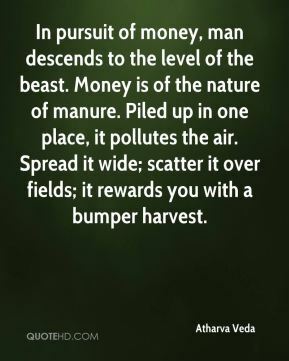 Hoard the wealth of the Spirit. 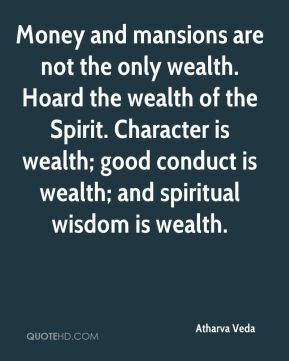 Character is wealth; good conduct is wealth; and spiritual wisdom is wealth. 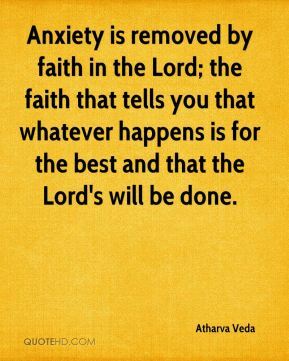 Anxiety is removed by faith in the Lord; the faith that tells you that whatever happens is for the best and that the Lord's will be done. 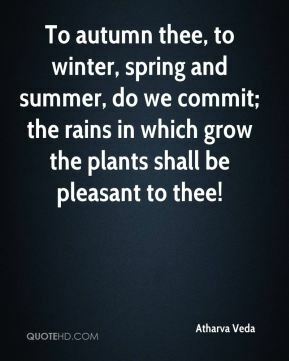 To autumn thee, to winter, spring and summer, do we commit; the rains in which grow the plants shall be pleasant to thee! 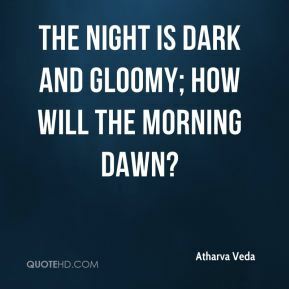 The night is dark and gloomy; how will the morning dawn? 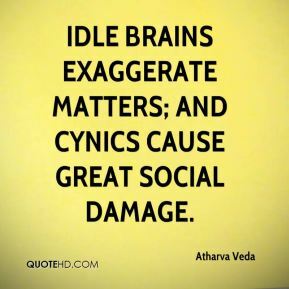 Idle brains exaggerate matters; and cynics cause great social damage. 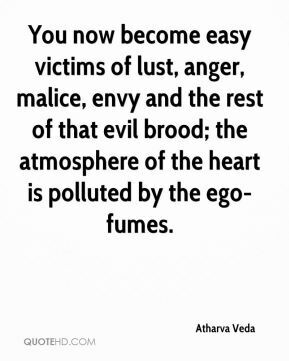 Do not entertain bad thoughts and do bad deeds. 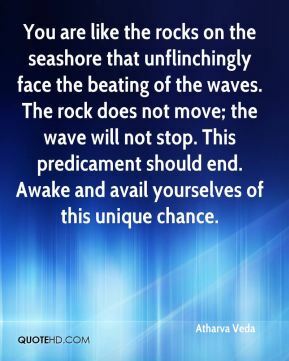 Life is holy and sacred. Go through it with joy and happiness. Do not carry gloomy, unhappy faces. Happiness is union with God. This period of your life is sacred. If you can not derive happiness and live in Bliss at this age, can you be blissful when you grow old? 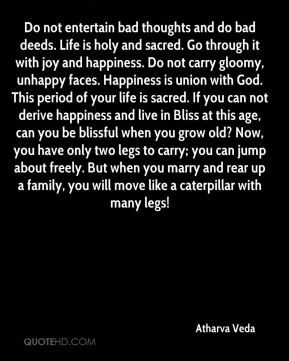 Now, you have only two legs to carry; you can jump about freely. 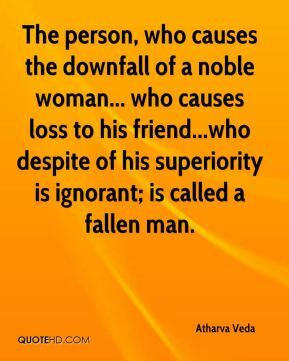 But when you marry and rear up a family, you will move like a caterpillar with many legs! 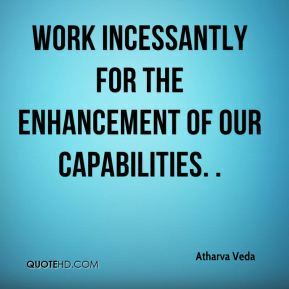 Work incessantly for the enhancement of our capabilities. . 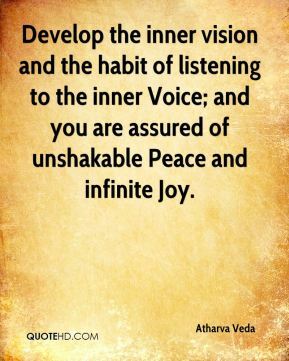 Develop the inner vision and the habit of listening to the inner Voice; and you are assured of unshakable Peace and infinite Joy. 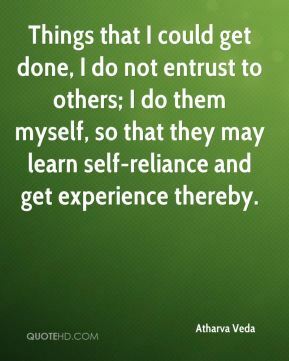 Things that I could get done, I do not entrust to others; I do them myself, so that they may learn self-reliance and get experience thereby.